Two ex-NFL players from different parties are suiting up for Congress. But they're leaving partisanship on the field. 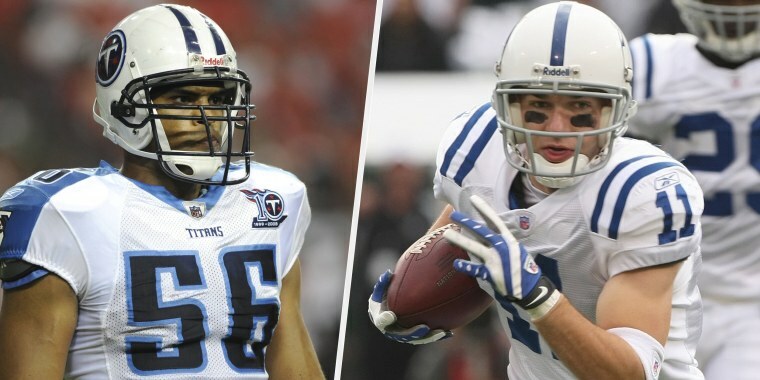 Colin Allred played for the Tennessee Titans and Anthony Gonzalez was with the Indianapolis Colts. They will serve together in the House. Colin Allred, left, was on the defensive squad for the Tennessee Titans. Anthony Gonzalez was a wide receiver for the Indianapolis Colts. They join a handful of ex-pro football players to make their way to Congress. Among this year's newly elected House members are Colin Allred and Anthony Gonzalez, two former NFL players who couldn't be more different on paper. Allred played on the defensive squad for the Tennessee Titans from 2007 to 2010; Gonzalez was on the other side of the line for the Indianapolis Colts from 2007 to 2011. Allred's a Texas Democrat; Gonzalez, an Ohio Republican. Allred pursued a legal career after his playing days were over, Gonzalez chose business. And both have their own thoughts about players kneeling in protest. Allred pulled off one of the Democrats' signature wins on Election Day, besting longtime GOP Rep. Pete Sessions of Texas. Gonzalez ran a campaign that didn't garner as much attention but was impressive in its own right as he handily defeated a Trump acolyte in the primary and then won the Ohio seat that belonged to Republican Rep. Jim Renacci. They join a handful of ex-pro football players to make their way to Congress. Most successful politically among them was Jack Kemp, a longtime GOP lawmaker who was once a vice-presidential nominee. He died in 2009. Listening to Allred and Gonzalez discuss their goals and each other, it'd be hard to tell they were on different teams. "It's pretty obvious that he's in it for the right reasons," Gonzalez said of Allred. "We both come at it from a similar perspective of 'Hey, it's ultimately about delivering results' ... We're aligned on that and I think he's a great guy." They did not know each other personally during their playing days, which included lining up against each other on an NFL field once — almost exactly 10 years ago (Gonzalez's Colts won 23-0). But they got to know each other during freshman lawmaker orientation ceremonies following their November wins. Gonzalez, 34 and recently a father, said that being at a similar life stage as Allred, 35 and a soon-to-be dad, helped them relate. "Obviously, we're in different political parties but that's never stopped me from working with someone in the past," he said. Both men took ambitious paths after they walked off the field. Gonzalez got his masters degree from Stanford University and went to work leading a tech and education company. Allred pursued a law degree, graduating from the University of California Berkeley before working in the Obama administration as a special assistant in the Department of Housing and Urban Development and then as an attorney in private practice. But it was their time in the NFL, both said, that was most relevant in preparing for their new lives as congressmen. "First and foremost, the NFL is a true melting pot of America in terms of the locker room and who's in there," Gonzalez said, adding you "learn how to work successfully with people from all walks of life." "And that's one of the challenges of Congress and one of the beauties of the House is you meet folks from all over the country, and you get a sense of our House of Representatives, as dysfunctional as it can be, truly is a reflection of the broader country," he continued. Allred said his pro football experience is in many ways even more relevant to his career as a legislator than was his time as a lawyer. "Because so much of running for office and then I think also working in a legislative body requires the same things you need to be a good teammate and to be a good football player," he said, pointing specifically to the selflessness required to succeed on special teams. Allred and Gonzalez are coming to Congress at a time when the NFL is taking political heat over some players kneeling to protest police brutality and racism — an issue that President Donald Trump has pushed into the spotlight. On kneeling, Gonzalez cited a statement he made last fall in which he said it was always his honor and privilege to stand for the anthem. He told NBC News that the anthem was part of a "sacred" pregame routine for him. Allred wrote on the kneeling protests last fall, too. 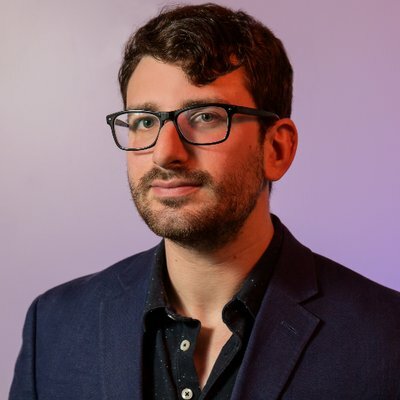 He told NBC News he understood why some people disagreed with the protests, but said critics, including Trump, were trying to use the demonstrations as a "wedge issue to try and drive people apart." "I had some friends who were among the players who kneeled, and I know them as good guys who did great work in their communities and ... thought deeply about what they were doing," he said. As the two men head to Congress next month, they've got a a few issues of their own they want to focus on. For Gonzalez, it's combating the opioid crisis and working toward bettering northeastern Ohio's economy. For Allred, it's working to improve the Dallas-area's infrastructure, make healthcare more affordable and create new job training initiatives. "The vast majority of the younger folks I've talked to that are entering Congress for the first time or are already there are similar in that we are action oriented and most of us are committed to bridging divides, not contributing to the animosity and the anger that currently sort of perpetuates Washington, D.C.," Gonzalez said. Allred said, "It's good to have a fresh infusion of ideas,and I think the Congress is no different in that every now and then you need to have new people coming in who don't have the same scar tissue built up from past battles and can ... get some things done." Of course, both are now going to have to work their way through Trump's Washington, where partisan battles are as sharp as ever. Gonzalez said he felt the president was doing a good job in handling the economy and national security, though the congressman-elect said he "could do without the Twitter." Allred said Democrats in the new House majority will need to "walk and chew gum at the same time," acting as a check on the president in ways that didn't exist during his first two years in office, but also "we have to get things done." "I don't think my constituents, the people who elected me, (want me to) not get anything done and just spend a whole bunch of time yelling and screaming and fighting," he said. "I think that they want both sides to focus on things we agree on, and see if we can get those things done, and check some of the worst excesses we see going on." As the two men share a similar message on politics, they echo each other in their two big predictions for the remainder of the NFL season. On Sunday night, their former teams — Gonzalez's Colts and Allred's Titans — will face off against each other with the winner going to the playoffs and the loser missing out on post-season play. Both Allred and Gonzalez are picking the hot Colts. As for the Super Bowl, both like the Chicago Bears.